There are two ways to update your theme to the latest versions: via your back-end or via your FTP account. In order to update your theme via the back-end, you go to Engine Settings > Settings > Updates. Then, enter your license key on Enginethemes.com. After you filled your license key, whenever our themes are released a new version, a notification message will be shown in your WordPress dashboard. Please note that updating your theme will overwrite all files of the older version. So we advise you to keep a back-up of your current version before updating it should you consider using again the older version. After downloading the latest version, you have to extract the package in your computer. Then, find a file whose name is " changelog.txt", this file includes all the files which have been changed in the new version. Login to your site via FTP, then navigate to " .../wp-content/themes" and find your old theme. 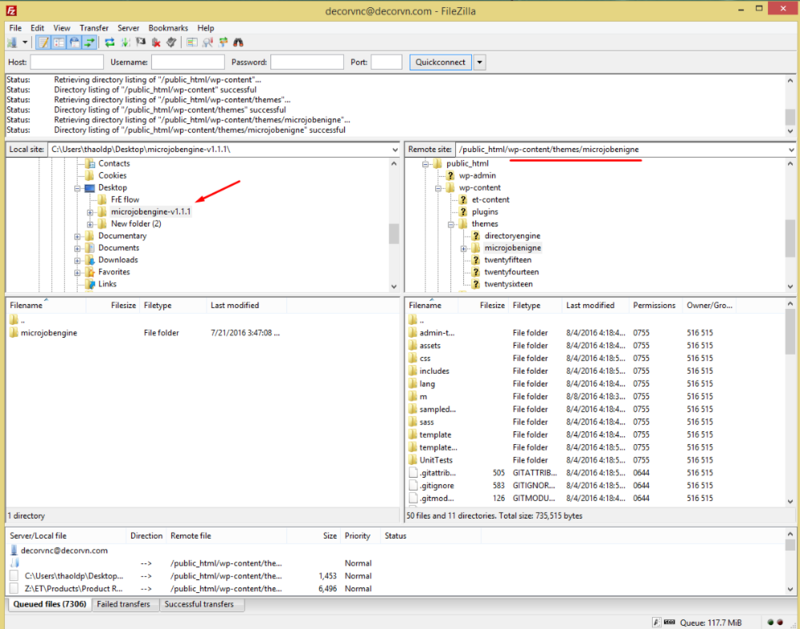 In the local site section, select the folder that you have extracted. 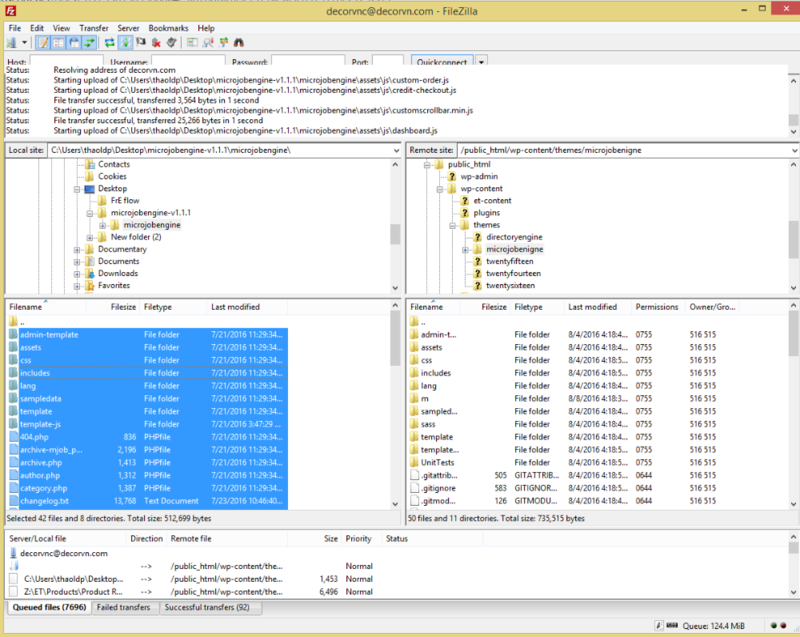 Click on this folder, copy & drag all changed files to the "Remote site" to overwrite your theme. 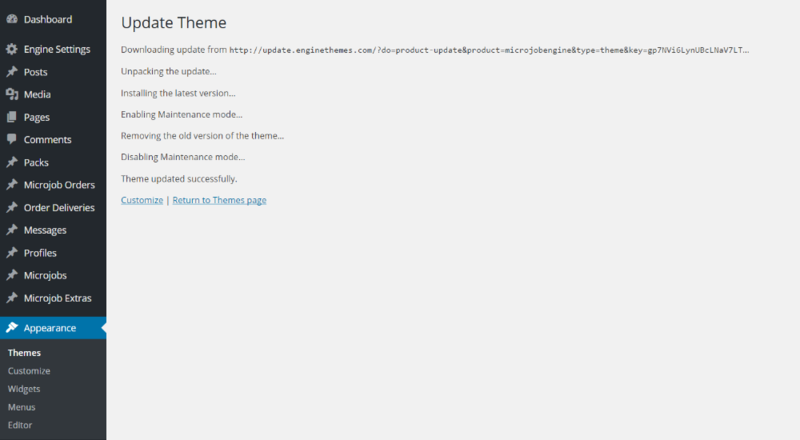 Finally, you should go to Engine Settings > Appearance > Themes > Theme Details to check your theme is updated or not.